Who will be crowned the next King or Queen of the jungle? 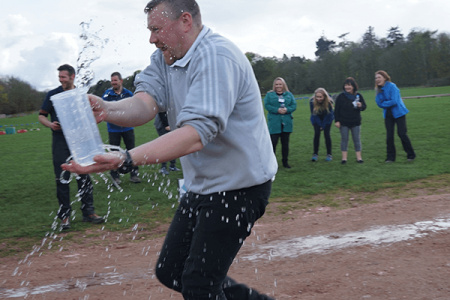 Experience the thrill, excitement and sheer exhilaration of adventure racing in a team away day experience inspired by ITV’s "I'm A Celebrity…Get Me Out of Here!" A brilliant activity for your Team Away Day in Scotland made for teams who thrive on tactic and strategy. Activities include; the water challenge, spiders web, swamp walk and a bush tucker trial (hope you have a strong stomach!). Perfect Away Day that you can add on Archery, Air Rifles, Quad Biking and Clay Pigeon Shooting too as well. Fully energise and excite your team on their Away Day.